Today I’m thrilled to have author Angela Marsons take part in my latest feature #BehindTheBooks. The author writes the “Kim Stone” crime series, and as anyone who follows my blog will now it’s one of my favourite crime series EVER. Read on for my interview with the awesome Angela Marsons…..
Hi Angela I’m thrilled to have you visit the book review café, tea or coffee? Tea, please. A big cup of hot sweet tea. It’s what I exist on. Can you tell us a little bit about the Kim Stone series? Yes, it’s a series about a Detective Inspector based in and around the Black Country in the West Midlands. I am currently working on book 11 of a 16 book contract and surprisingly the character still seems to have a lot to say. Dead Memories is the latest book to be published, it’s the tenth book in series, did you ever think when you published Silent Scream it would end up being a long running series? I was originally signed for 4 Kim Stone books and I thought that I wouldn’t see that out. I had visions of my publisher, Bookouture, sending me the ‘sorry we made a mistake’ email and we can’t continue your contract for the 7 people that bought your book!! Yes, I had seven guaranteed sales from family members. So, after Silent Scream was published and it went to #1 (due in no small part to the blogger/reviewer support it received) I was asked to sign for 4 more and a few books later I signed for a further 8 books. There is no publisher I would rather be on this journey with than Bookouture as they gave me the opportunity to share my stories after many years of rejection. How many more books in the series can we look forward to? Although I’m contracted to write 16 books I’ve always said that I’ll keep writing them as long as people want to keep reading them. Do you spend a lot of time researching for your books? The research is one of my favourite parts of the process. I always buy factual books about the subjects that I’m planning to cover and crack open a new notepad and box of bic original pencils to start the project. I still love learning but the key is not to put in everything you’ve learned but to choose only what’s relevant to the story and that will particularly interest the reader. After years of writing relationship based stories, you turned to crime, what made you decide to change direction? I have always loved to read crime but never thought I could write a crime book due to the twists and turns needed. When I sat down to write Silent Scream it was an act of rebellion. I decided to write the book I wanted to write with the character that was screaming in my head, based in my own area and not a big city. I totally expected to reach 30K words and hit a brick wall but it was at that point that the pencil took on a life of its own and I couldn’t write it quick enough. Much of the plot grew organically as I wrote and the twists and turns occurred to me during the process which was incredibly exciting. I still write each book in the same way. I have a vague idea of where I’m going but I don’t plan. You received numerous rejections on your road to success, what advice would you give to would be authors in a similar position? My first piece of advice would be to never forget what compelled you to write in the first place. When faced with rejection it’s easy to forget the love of words or making a good sentence or developing unique characters. Whatever it was that drove you to do it, keep the love for the process alive. Also, I would always advise new authors not to share their work too early. It’s easy to get excited and to seek validation for your first couple of chapters but any comment, positive or negative, can affect the rest of your journey with the story. I always think of the first draft as my sandpit, it’s my time to make the book whatever I want it to be and only once I’ve reached the end do I share it with anyone. Oh my goodness, there have been so many WOW moments. Things I never even dreamed could happen. It might have been my first Amazon #1 or seeing the books on supermarket shelves or my first foreign rights deals but I think it would have to be hitting the 3 million sales mark. I can’t even count that high and the number is unfathomable to me. I’m proud of each and every sale. I’m a big fan of the “Kim Stone” book covers, did you get any say in choosing the cover? I love the covers too but no I don’t get any say in choosing them. This bothered me at first but I now trust Bookouture to do their bit and they trust me to do mine. Once you finished writing a book whose the first person who gets to read it? Always my partner Jules who works closely on the books with me. As I handwrite the first draft the process is slower at that stage. As I write Julie types the chapters so that when I get to the end of the first draft the chapters are typed and ready for me to get cracking on the second draft. As I’m working on the second draft I’m printing and Jules has her red pen and gives me advice and points out things I might not have noticed. Do you ever get writer’s block? And if so how do you get over it? I normally only get writers block if I’m trying to force the story or one of the characters in the wrong direction. In Silent Scream the ending between Kim and Lucy was going to be very different and I actually couldn’t write it because the original plan no longer felt right due to the relationship that had developed between them. If I’m struggling to find creativity in a particular area of the book I’ll often move to a scene that I’m dying to write. Normally that will be a scene filled with emotion or conflict. How do you cope with negative reviews? I try not to read them but it’s hard when a new book comes out. The nerves never go away so each time a new book is released I want to know what people think of it and it’s not always easy to read. Luckily I’ve learned to grow a thicker skin and as long as there are some folks that like the book I try to focus on that. You are a big champion of book bloggers, how have they helped you? And finally what’s next for Kim Stone? She will continue to fight for the underdog with her loyal team. She will continue to be obnoxious but with a good heart and I promise that nothing is going to happen to Barney (a question I get asked a lot). Angela Marsons is the Wall Street Journal and USA Today bestselling author of the DI Kim Stone series and her books have sold more than 3 million in 3 years. Many of her books, including Blood Lines, Dead Souls, Broken Bones, Fatal Promise and Dead Memories reached the #1 spot on Amazon on pre-orders alone. This entry was posted in Angela Marsons, Book blog and tagged #BehindTheBooks, #MustReads, Author Interviews, crime series, Police Procedures on April 17, 2019 by lollyrugs. Not only is Noelle a book blogger, she works full time as a PR and Social Manager for Bookouture and some how or other she’s managed to write her debut novel Dead Inside which is being published by killer reads and Harper Collins in May 2019. I was lucky enough to be asked to beta read this book and I thought it was brilliant, readers you are in for a real treat. Hi Noelle I’m thrilled to have you visit the book review café, first things first, tea or coffee? Congratulations on your debut novel Dead Inside being published on May 31st by Killer Reads. I have so many questions I want to ask you. Firstly what made you decide to write a book? Aww- thank you so much!! I’ve always wanted to write a book, but either thought no one other than me would be interested, it would be awful so no one (publisher-wise) would want it or there was never enough time to write. In 2017, after a lot of encouragement, I attended Crime & Publishment – a writing course run by Graham Smith & Michael J Malone in Gretna Green. I had my prologue written and after mustering up the courage, I asked them both to read it. Their reaction gave me the kick up the backside to write the story and so I made the time! Where did you get the idea for Dead Inside from? The idea for Dead Inside came from my own personal experiences, my experience as a Probation Officer and my not-so-normal imagination. When I had finally decided I wanted to write back in 2014 – I had a totally different story in mind, but then Lucy invaded my head and after a few years of thinking about it, she decided she wanted to be heard! What kind of research did you have to do for Dead Inside? My previous professional life as a Senior Probation Officer for 18 years, working in a police station for 6 years and the experience I had with various agencies allowed me to pretty much write what I knew. I used a bit of poetic licence to help the story flow, but I drew on my experiences and spoke to a few people or googled/ read relevant books for things I was unsure of. I have quite a library of books on crime, theory and true crime – so reference material is always to hand. How long did it take you to write Dead Inside? I started the first draft on March 13th 2017 and finished May 19th 2017. Then I left the book until the end of November 2017 before I started to edit. That took me until Feb 2018. I then sent it to beta readers and once I had their amazing and insightful feedback, I made those changes and sent it to an editor – I was ready to submit my final MS by April 2018. What were the lows of writing your debut novel? Difficult to say and I am not sure I would say I had any particular ‘lows” but writing a novel is hard work and you really have to be dedicated/motivated. Making the time after a long day at work, could be draining but kept me focussed. I also had to re-live and sift through a lot of unpleasant memories. I had no confidence in my writing or myself some days. Which brings me to the next question, what was the best thing about writing Dead Inside? Oh! There are a few things – It was therapeutic and reminded me how far I have come. Getting a book deal! (I still can’t believe that!) Having amazing feedback from my beta readers. Fantastic endorsements from authors I admire. Getting a red card from Karen Sullivan /Orenda with the invitation to submit – and being able to say I wrote a book! Pitching my novel to an editor (scary but worth it). Seeing Angela Marsons and Martina Cole’s names on my cover. MY COVER (love it) – So many positives!! Hmmm. I’m not sure if this is a quirk or not but I don’t write in chronological order. If an idea pops in my head, I write it down – in fact, I had the ending of Dead Inside written before most of the book. Same with book 2! It’s just how my brain works – but it is a pain when it comes to editing! Can you describe what Dead Inside is about in one sentence? Four domestic abuse offenders are brutally murdered; three are supervised by the same probation officer and the fourth is her husband. How long did it take to get your book accepted by a publisher? This is incredibly weird and definitely not the norm, but I was encouraged by an author and also introduced by one of the editors from Bookouture to pitch to a publisher at Harrogate 2018. I finally plucked up the courage on the Saturday (I may have been dragged over) and gave him my details as well as my pitch. I received an email on the Monday asking for the full MS and an then I received an offer a week later. I then had another expression of interest within two days of that from another publisher I submitted to and finally another offer! Even those who turned down Dead Inside, said they were interested in my writing and would be happy for me to submit anything else I wrote directly. So, I had a really positive experience. Best piece of advice you would give to someone hoping to get their book published? Do your homework and write every day. I spend an hour a day, no matter what, writing – within 12-14 weeks I have my first draft done. Only ONE HOUR a day. You have to keep motivated. How does it feel to read quotes from authors writing about your book? When it’s normally you writing about theirs. OMFG I cried many a happy tear as it is just so surreal. I often wonder if they are just being nice but then I think WHO CARES 🤣 Best feeling EVER! Have you any plans to celebrate on publication day? I took the day off work and plan to be on social media. I might have a gin or two (it’s a Friday!) but no other special plans. For the paperback publication in August, I am hoping to have a launch in Glasgow – watch this space! Book 2 edits! We’re still working on the title, but I LOVE the blurb. Hopefully there will be some news about that coming soon! One last question do you plan to keep on blogging? Abso-friggin-lutely! I love blogging, but I have taken a big step back from tours and generally I’m focusing on going through my TBR! I will still do the occasional tour, but edits are a priority and then onto Book 3 … in case I get another contract! If I don’t I’m not sure what I will do with Book 3 but I’ll worry about that when I need to! Noelle Holten is an award-winning blogger at www.crimebookjunkie.co.uk. She is the PR & Social Media Manager for Bookouture, a leading digital publisher in the UK, and was a regular reviewer on the Two Crime Writers and a Microphone podcast. Noelle worked as a Senior Probation Officer for eighteen years, covering a variety of cases including those involving serious domestic abuse. She has three Hons BA’s – Philosophy, Sociology (Crime & Deviance) and Community Justice – and a Masters in Criminology. Noelle’s hobbies include reading, author-stalking and sharing the booklove via her blog. Dead Inside is her debut novel with Killer Reads/Harper Collins UK and the start of a new series featuring DC Maggie Jamieson. A dark and gripping debut crime novel – the first in a stunning new series – from a huge new talent. When three wife beaters are themselves found beaten to death, DC Maggie Jamieson knows she is facing her toughest case yet. The police suspect that Probation Officer Lucy Sherwood – who is connected to all three victims – is hiding a dark secret. Then a fourth domestic abuser is brutally murdered. And he is Lucy’s husband. Now the police are running out of time, but can Maggie really believe her friend Lucy is a cold-blooded killer? My thanks to Noelle for taking time out of her hectic to take part in this interview. This entry was posted in Book blog, Noelle Holten and tagged #BehindTheBooks, Author Interviews, Crime Thriller, Domestic Noir, Must reads 2019, Mystery, New Releases, Suspense on March 7, 2019 by lollyrugs. Today to celebrate the fact that the The Girl In The Ice by Robert Bryndza is available today in bookshops and supermarkets, I decided to share my author interview with Robert Bryndza and my review for The Girl In The Ice which I first published way back in 2016. My love affair with this crime series continues to grow and if you haven’t started the series yet, don’t forget to pick yourself up a copy when you’re out shopping. Hello Lorraine, thanks for welcoming me here today. For those readers who haven’t yet heard of you or your book The Girl In The Ice can you provide us with an introduction? Where did the idea For The Girl In The Ice come from? I had the idea, several years ago when I was listening to the Kate Bush album 50 Words For Snow. It’s a very hypnotic and evocative album and captures the loneliness and beauty of snow and ice in winter. An image came into my mind of standing on a frozen lake, scraping away the snow and seeing a girls face staring back at me from underneath the ice. You are better known for your best selling romantic comedies, what made you decide to change genre, and write a thriller? I’ve always wanted to write a crime thriller, and I realised that if I didn’t do it soon, I never would. For the past year the character of Erika Foster has been slowly taking shape in my mind, and I’ve been scribbling down notes and story ideas for the past few years. 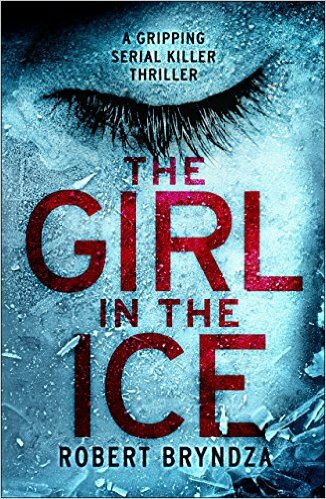 The Girl In The Ice is your debut thriller, and also your first book with publishers Bookouture, how does that feel? I can honestly say it has been a great experience. Up until now I’ve self-published my romantic comedies and I vowed that if I ever signed with a publishing house, it would have to be right for me. Bookouture is run by an incredibly talented bunch, and I’ve loved working with them. Did you consider changing your name when writing The Girl In The Ice, and if so why did you decide to go with your original name? Yes, at one point I wanted to be called James Artin. I like the name James and it’s the name of the town where I live, Nitra spelt backwards! But Oliver Rhodes the head of Bookouture pointed out that I have a very loyal readership and that many of them read and enjoy different genres, and would follow me over to the dark side – and so far many of them have, plus a whole new bunch of people have discovered me as a crime thriller writer. How do you research material for your book? Do you have any strange writing habits or rituals? Do you write an outline before you start writing? Yes, I do. When I first started writing I didn’t, and it’s very hard without a plan. Saying that I tend not to stick to it or it will veer off in unexpected ways. Three years – and that was when I had given up. Then someone told me about self-publishing, and I uploaded my first book in 2012. What is your least favourite part of the writing/publishing process? First drafts are very hard, and always found writing the product description for the book a bit of a nightmare. If you couldn’t write books, what would you do for a living? Describe your book in 5 words? Can I have fourteen? Bookouture have come up with this tagline that I love; She’s fearless. Respected. Unstoppable. Detective Erika Foster will catch a killer, whatever it takes. Describe yourself in 5 words? Driven, insecure, likes to cook. What authors/books do you like to read in your spare time? Anything by Sue Townsend or Stephen King. I love Angela Marsons DI Kim Stone crime series and The Cormoran Strike books. Yes. I’m working on the next book in the DCI Erika Foster series. It’s called The Night Stalker, and it will be published later in the year. During all the interviews you’ve done what question have you not been asked that you wish had been asked – and what’s the answer? Is there anything you wish you could do, but can’t? I would love to be able to sing. In my head I sound amazing, but something happens between the thought and it coming out of my mouth… some kind of short circuit, and I sound awful! And finally Kindle or Book? Both. I love a proper book, but I live in Slovakia and it’s much easier to download to my Kindle. Thank you Robert Bryndza for stopping by the book review cafe, and answering my questions. I have a feeling this is going to be one hell of a series. Originally from the UK, Rob lives in Slovakia with his Slovak husband and their two crazy dogs. He originally trained as an actor, but was bitten by the writing bug in his mid-twenties and hasn’t looked back. His debut novel, The Not So Secret Emails of Coco Pinchard became an Amazon bestseller, and has grown to a best selling series of five books. In addition to his recent number one romantic comedy Miss Wrong and Mr Right, Rob is excited to embrace the darker side of life, writing his first crime thriller series. He is currently writing the second book in the series The Night Stalker which will be released in late Spring 2016. You can find out more about the author here…. This is Robert Bryndza’s crime thriller debut, he is better known for writing romantic comedies, so I was interested to see if he managed to switch genres successfully. I’m a huge fan of crime thrillers, but the market is saturated with books of this genre, so for me a crime book, has to be of a high caliber, with a well written plot, good characterisation and above all else it has to keep me riveted. I’m so pleased to say the author does all this and more, he maybe a new author to this genre, but he certainly knows how to pack a punch! From the prologue I was intrigued, as we are introduced to the victim minutes before she meets her death, and from there on in the pace picks up memento. From the start the tension is tangible, I found myself racing through the chapters, as I was intrigued to see where the plot led. Robert Bryndza delivers a well plotted novel, which flows fluidly, his characters are well rounded, and very believable. Detective Erika Foster is the lead on the case, there is real depth to her character, she has a past which haunts her, she’s feisty, forthright and formidable, which provides for an intriguing protagonist. Erika has the makings of an excellent “serial” Detective, and I’m really curious to see how her character will develop in the authors next book. The Girl In The Ice has all the elements needed to make a good crime thriller, it has plenty of twists and turns, with enough red herrings to keep the reader captivated to the very last page, it’s addictive, compulsive and much more. This is a very strong crime debut from Robert Bryndza and expertly told, he has now been firmly added to my list of “must read” authors. I will certainly be reading the next book in this series, and the one after that without hesitation. 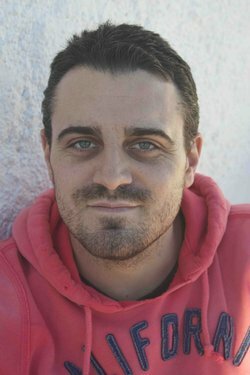 This entry was posted in Robert Bryndza and tagged Author Interviews, Book review, Book Series, Crime, Crime Thriller, Mystery on November 30, 2017 by lollyrugs. Hi Vivien and welcome to the book review café for those readers who haven’t yet heard of you or your book Lily Alone, can you provide us with an introduction? Lily Alone is published by Harper Impulse in paperback on 5 October. ebook also available. And for Lily, time is running out. Where did the idea for Lily Alone come from? I worked with very young children for many years and loved spending time with them, especially seeing them develop and grow in independence and confidence. But how would a child manage to cope without an adult to love them, protect them, and keep them safe? And what if neighbours just turned a blind eye, not wanting to get involved? We so often hear stories about children being neglected, abused, or having to be taken into care. Lily Alone came out of a combination of all those things. What was the hardest part of writing of Lily Alone? Getting the research right! Writing about relationships and emotions comes easily as I have been writing romance and family stories for women’s magazines for a very long time. But with this novel I had to go into much more detail – about what a three year old can and can’t do, and about medical and social services procedures. Having daughters working in those two professions was a great help. I do like to have exactly the right pen. Even though I write straight to a laptop these days, there are still notes to be made, and I just can’t do it well unless the pen looks and feels right. No fountain pens with messy ink cartridges, and definitely no cheap scratchy see-through biros! Have you always wanted to be an author, and when did you first realise you wanted to write? English was my favourite subject at school, and I had the encouragement of a very inspirational teacher called Mr Shearn. I started writing poetry when I was about fifteen, then slowly progressed into fiction, but it was always just a hobby, and I never considered it as a potential paying job. If universities had been offering creative writing degrees back then things might have been different, but I went to work in a bank, and writing stayed in the background for a long time – although it never went away! I struggle to plan. Editors tend to require a synopsis so I force myself to write one but the finished book looks nothing like that original concept. I know what kind of story I am trying to tell and have a vague notion of the ending I want to reach, but characters develop as I write about them, and things happen on the page that I did not see coming! My first novel, Losing Lucy, written under my former name of Vivien Hampshire, took a couple of years to write, and was the subject of my then monthly column in Writers Forum magazine called Book Deal or Bust. Readers followed my progress as I wrote and edited it and tried to get an agent or publisher. In the end, I self-published, and it did get some very good reviews, but I am so happy to have a traditional publishing deal this time around. Lily Alone passed through the Romantic Novelists Association’s New Writers Scheme, meaning I got a full critique from an anonymous published romance author. That was not a good experience for me as the reader clearly hated the book and everything about it. Her negativity could well have put me off completely and consigned the book to the bin, but I asked for a second opinion and the next critique could not have been more encouraging! The best compliment was having the book accepted by first an agent and then by Harper Impulse who wanted to publish it. It just shows that everyone has different opinions and tastes, and it has taught me to take the occasional poor review with a pinch of salt! What’s the best bit about being an author? and what’s the worse bit? Being my own boss is great! Working from home, not having to battle the traffic or beg for days off, and being able to write anywhere – by the fire in winter, in the garden on a sunny day, by the pool on holiday, in bed… There really are no worse bits. I Let You Go, by Clare Mackintosh. Tense and surprising! Jane Austen, although I do cheat and watch the TV and film adaptations too! And finally can you describe yourself in five words? Creative. Solitary. Determined. Home-loving. Granny. Thanks so much for having me on the blog today. I hope your readers will take a look at Lily Alone and let me know what they think! Vivien Brown lives in Uxbridge, Middlesex, with her husband and two cats. For most of her life she has immersed herself in words – as an avid reader, writer, poet, library outreach worker, storyteller, gifter of Bookstart packs to babies and toddlers, creative writing tutor and crossword fanatic. She enjoys dipping into dictionaries and exploring the meaning of words, and watching and/or taking part in TV quiz shows. In the evenings she loves nothing more than losing herself in a good book, a compelling TV drama or her regular supply of women’s magazine short stories – which all help to provide inspiration and ideas for her own fiction. ‘Lily Alone’ is her debut novel. This entry was posted in Book blog and tagged Author Interviews, Crime Thriller, Mystery, Psychological thriller, Suspense on October 4, 2017 by lollyrugs. Today I’m thrilled to share my review for the delightful The Cosy Canal Boat Dream by the super talented Christie Barlow. Anyone who follows my blog will know I’m a huge crime thriller reader, and there’s only a handful of authors who I’m happy to leave the “dark side” for and Christie Barlow’s one of them. I got to read this highly entertaining book a few months back and I will say I think it’s Christie Barlow’s best book yet. To find out why you can read my review further down this post. The Cosy Canal Boat Dream will be published by Harper Impulse on the 22nd of August 2017 and I’ve included pre-order links further down the page. But before I share my review with you all I have a fabulous Q & A with Christie Barlow. Hi Christie, I’m so excited to have you on my blog so welcome to The Book Review Café. Can you tell us a little about yourself and your background? Thank you for having me Lorraine! Here’s a little intro! … I’m a 5ft 5in brunette born in the county of Cheshire and now at the ripe old age of 44, I lead nothing but a glamorous lifestyle: ironing, mucking out chickens and chasing after my mad cocker spaniel. I’m a mum to four, wife to one and my writing career came as somewhat of a surprise! Upon hitting my mid-life crisis (but dodging the tattoo and the sports car) after wholly dedicating my life to the care of my children, they asked me what I wanted to do in life while we were discussing their career options. ‘I’ve always wanted to write a book,’ I found myself answering, and so the notion was born. I self-published my first book, A Year in the Life of a Playground Mother which became the talk of the town and hit the charts. Within 3 months I’d landed myself an agent, a book deal with Bookouture and recently signed to HarperCollins imprint HarperImpulse. I’ve written six books to date, A Year in the Life of a Playground Mother, The Misadventures of a Playground Mother, Kitty’s Countryside Dream, Lizzie’s Christmas Escape, Evie’s Year of Taking Chances and The Cosy Canal Boat Dream. I’m currently working on book 7 to be published by HarperImpulse early 2018. For those readers who haven’t heard of you and your book THE COSY CANAL BOAT DREAM can you provide us with an introduction? The Cosy Canal Boat Dream is a roller-coaster of emotions, it begins with a powerful prologue that has already had numerous book bloggers and readers reaching for the tissues. Where did the idea for THE COSY CANAL BOAT DREAM come from? My new book ‘The Cosy Canal Boat Dream’ is a pretty special one as it will be my first published novel with Harper Impulse! How exciting! Well, and slightly nerve-wracking! That’s normal though, right? For this book, my inspiration was right under my nose – believe it or not! When I say under my nose, I also mean under Woody’s (my cocker-spaniel) nose! Every day prior to the book idea, my sidekick and I would go on a walk around Barton marina which has this beautiful, old picture house and a rather mouth-watering deli. And, if that wasn’t enough, the marina is even a home to multiple craft shops. It didn’t take me long to link Barton marina with the deli and old picture house in a storyline capacity. After all, with such beautiful views, stunning buildings, and wonderful smelling food to drool over; I would be doing the marina a disservice by NOT using it as my inspiration for my new book. I have a life size cut-out of Gary Barlow that keeps me company in my writing room and often I will run plot ideas past him! My family are so proud, they think it’s an amazing job to have and I have to agree with them! My favourite character in THE COSY CANAL BOAT DREAM is of course Nell Andrews, who was your favourite character to write about? I LOVED every character in this book, for five months they all became my new best friends but I too admire the wonderful Nell Andrews. Clearly I don’t want to give any parts of the storyline away, but, I can mention what inspired me to shape Nell’s character. You may have seen multiple posts online about women empowerment, yes? When I came to create Nell’s personality, I took my inspiration from women icons such as ‘Jane Eyre,’ the suffragette movement, and the inspirational women who are in my life. When you read the book, you’ll find out more about Nell, her backstory, and what shaped her as a person. Just like my other characters from my previous novels, I aim to build their lives with my own personal experiences in mind, and I feel that it’s important to be able to relate to who I am writing about. What is the most rewarding aspect of being an author? The past three years have been truly amazing in the land of books and that is down to all the lovely readers, bloggers, friends and family. Just by choosing my book to read makes my day, but then when they send me all the kind words, tweets and messages I really have to pinch myself. If it wasn’t for them, I wouldn’t be doing the job I love, so thank you! On the other side, what would say is the most challenging part of writing? Writing fiction can certainly be a lonely job and ninety-five percent of that time is spent on my own, tapping at the computer with only my mad cocker spaniel for company, but I wouldn’t have it any other way. Which of the books you have written is your favourite? I thought about this for a moment and realised each book I’ve written has shaped the writer I am today. I love each book and every character for many different reasons. What’s been your biggest pinch me moment to date? The first pinch me moment was when I was travelling on a train to Birmingham. I was sat in the carriage watching the scenery whiz by when the woman sitting opposite me took out a book from her bag to read. It was my book, Kitty’s Countryside Dream! The second moment was when the publishing editor Charlotte Ledger from Harper Collins knew of my wonderful books and offered me a contract, oh and not forgetting my first book knocked David Walliams off the top spot! And I got to have a chat with him recently about that very moment at the Harper Collins 200th birthday party celebrations. Every day I pinch myself, I really do have the best job in the world. I’m just writing my second book for Harper which is due for release early 2018, and all I can divulge at this stage is it begins in New York, and ends in England. There are secrets, hideaways and romance, but always a happy ending! Christie Barlow is the author of A Year in the Life of a Playground Mother, The Misadventures of a Playground Mother, Kitty’s Countryside Dream, Lizzie’s Christmas Escape, Evie’s Year of Taking Chances and The Cosy Canal Boat Dream. She lives in Staffordshire with her husband, four kids, horses, chickens and a mad cocker spaniel. Her writing career came as somewhat a surprise when she decided to write a book to teach her children a valuable life lesson and show them that they are capable of achieving their dreams. The book she wrote to prove a point is now a #1 bestseller in the UK, USA and Australia. Christie is an ambassador for @ZuriProject raising money/awareness and engaging with poverish people in Uganda through organisations to improve their well-being as well as Literary Editor for www.mamalifemagazine.co.uk bringing you all the latest news and reviews from the book world. If you are looking for a book to read that’s not your usual run of the mill Rom Com then look no further, than The Cosy Canal Boat Dream, it’s a highly entertaining read, but it also has so much more to offer, it certainly made for an emotional read so a word of warning have the tissues at the ready! I’m going to say this is definitely Christie Barlow’s best book yet and made for a highly entertaining and emotional read. Nell Andrew’s appears to have the perfect life she’s living the dream on a boat with the love of her life Ollie, but when he is killed in an accident all Nell’s hopes and dreams for the future are left in tatters. As she struggles to cope with her grief life takes an unexpected turn when an Irishman and a disused cinema come into her life. What follows is a heartwarming tale filled with bittersweet moments. My emotions were all over the place whilst reading this novel, there are so many sensitive and tear jerking scenes in this novel one minute I would find myself laughing uncontrollably and the next minute I would find myself sobbing into a tissue as I reached yet another poignant scene in this charming tale. What I adore about Christie Barlow’s writing is that she has a knack of bringing her characters to life, friendship and humour play a big part in this novel and you can’t help but become attached to Nell, best friend Bea and the adorable Jacob who despite only being five has a big personality. The author’s characters are so credible and endearing, as usual I was left feeling bereft when I reached the last page of The Cosy Canal Boat Dream, as I’ve said in previous reviews for Christie Barlow’s books I always feel I’m saying “goodbye” to new found friends. Christie Barlow is able to turn a Rom Com into something much more, yes there’s laughs aplenty, but she also draws on real life issues and writes about them with sensitivity, you can’t help but become involved in each characters story. In my opinion Christie Barlow is one of the best writers in this genre her books are like a breath of fresh and yes they make me emotional, but ultimately they make for a heartwarming and “feel good” read. I would highly recommend this book to anyone who is looking for a Rom Com with that extra special something. A huge thank you to Christie Barlow for my ARC and for taking the time to answer my questions for the author interview. This entry was posted in Book blog, Christie Barlow and tagged Author Interviews, Book review, RomCom on August 16, 2017 by lollyrugs. Today I’m thrilled to be on the blog tour for The Good Daughter by Karin Slaughter. I’ve always been a huge fan of this author so I literally jumped at the chance to take part in the blog tour. I never imagined when I started up my blog I would be helping to promote the book of one of the most famous crime thriller authors on the planet, so excuse me while I jump up and down with excitement! Not only am I sharing my review for this gripping book, but I also have an author Q & A with Karin Slaughter, so without further ado………..
You write about crimes, particularly those violent crimes against women, that are sadly all too common, but was The Good Daughter based on any specific incidents? If so, do you find that difficult to deal with? I’m always conscious when I write about crime that this sort of thing is happening everywhere in the world, multiple times a day. Especially when you’re talking about crimes against women. The Centers for Disease control tracks the leading causes of death for all Americans and publishes their report annually. For female infants, the number one cause of death is homicide. For pregnant women, the number one cause of death is homicide. From the ages of zero to 45, you can scan the top five reasons for premature death of women and find the word “homicide” listed. So, statistically, it’s an inherently dangerous thing to be a woman. In fact, almost every act of violence that’s not gang-related generally victimizes a woman, either obliquely or directly. Even terrorist attacks like the horrible bombing in Manchester victimized women. When we have random shooters here in the US, they tend to be angry young men who generally target women, or their first victim in a shooting spree is an ex girlfriend, a mothers, or a woman they think has rejected them. What’s the first ever story you remember writing? I have one of only two existing copies: The Boom Diddy Kitty. It’s about a cat who helps a kid who is not very popular. If you hadn’t become an author, what would you have wanted to do in life? Being a writer is literally the only thing I’ve ever consistently wanted to do in life, from at least kindergarten. I always assumed you couldn’t make a living being a writer (and that’s true—I’m very aware of how fortunate I am) so I had back-up plans. I wanted to be a lawyer, I wanted to be a comic book illustrator, I wanted to be an astronaut…all the cool jobs. What I ended up doing was being an exterminator, then a house painter, then an employee at a sign shop, then a sign shop owner, then I got very lucky and the thing I had been toiling away at all along during my non-working-hours finally paid off and I got my first book deal. I am aware every single day that I am one of the luckiest folks on earth. Not many people do for a living exactly the job they have always wanted to do. That’s honestly a hard question to answer. I get to work in my pajamas, but honestly, I wore my pajamas to work before and no one really noticed. I get to travel all over the world, which is nice because I’ve met all sorts of interesting people and that one mildy racist woman in Canberra. I love working with my editor because she really gets me. I love being able to write for a job. Maybe the coolest part is walking into a book store and seeing my books on the shelves, but not too many books because people have been reading them and the store needs to get more. That’s really one of the best things about being published—knowing my readers are out there and that they are happy with my books. It’s certainly not being able to get an expired Nando’s card accepted for a free order of peri-peri chicken! I’ve always been a huge fan of Karin Slaughter’s writing and have pretty much read every book she has ever written, so to say I was excited to see she was publishing a new novel was an understatement! The Good Daughter is a standalone, no sign of Will Trent here (I love this series by the way) and once again the author has shown why she is considered to be one of the world’s most popular and acclaimed storytellers. I was surprised to find The Good Daughter isn’t as fast paced or as graphic as the authors previous books, although some of the scenes and subject matter may not be to ever reader’s taste I must admit! After finishing The Good Daughter I definitely think this is the authors most ambitious and powerful book yet! Like any book by this author there is plenty of mystery, terrible crimes are committed, but it also gives insight into family relationships when terrible things happen to them. Much of the book is about the horrifying events that happened to Charlie and her sister Samantha during their childhood , and how they are affecting their characters in the present and their relationships to each other and the people around them. I felt this novel was very much character led and the crimes almost felt secondary to the plot, that’s not a criticism by any means as The Good Daughter still made for a disturbing yet compelling read. Karin Slaughter has created exceptionally complex characters, both sisters have their own demons that continue to haunt them, this novel is very much about the complexity of relationships and bad things happening to good people. Each character in The Good Daughter is garenteed to provoke a strong reactions, like anyone they have their strengths and weakness that make your own feelings towards each character sway constantly depending at what point you are in this throughly compelling read. The author describes the small town of Pikeville so vividly it feels incredibly stifling, but also very typical, the kind of place where everyone knows you and your business, so it was intriguing to read how and why one sister choose to leave and the other one stayed, the reasons are complex but at the same time credible. Karen Slaughter never shies away from the darker side of life, in fact she hits it head on. The Good Daughter is dark, gritty and at times disturbing, with a superbly written plot, yet again the author has shown me why she continues to be one of my all time favourite authors on the planet. This entry was posted in Book blog, Karin Slaughter and tagged Author Interviews, Book Blog Tours, Crime Thriller, Guest Post, Mystery, Suspense on July 17, 2017 by lollyrugs.